NEW roof to be installed by Closing!! Nice 3 bedroom home in Greenwood Lakes neighborhood. Lot backs up to wooded conservation area. 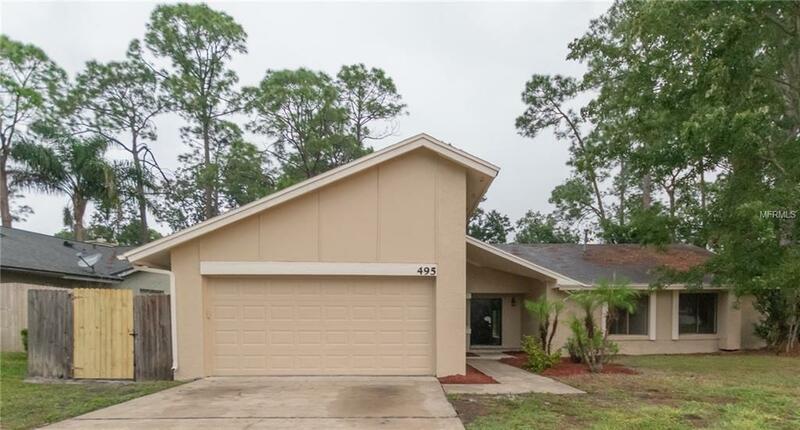 Community is less than 5 miles from shopping and Florida Trail. NEW A/C unit!! Foyer opens to tile dining room and newly carpeted living room with cozy fireplace and vaulted ceilings. NEW neutral 2 tone paint and new carpet throughout. Eat in kitchen features NEW stainless steel appliances plus tons of counter and cabinet space. Master bedroom includes dual closets and en-suite bathroom with dual sinks and open walk in tile shower with bench. Screened in lanai off rear of home overlooks spacious backyard with mature landscaping. Great spot to relax and unwind at the end the day! A must see! !